One of the biggest advantages to owning a home is that, once you have built some equity, you can save money when you take out a loan because the interest you pay is tax-deductible. Home equity is the difference between what the home is worth and what you owe. If your home is valued at $90,000, and you only owe $75,000, your equity is $15,000. There are two primary ways to borrow against your home, the first of which is to take out a second mortgage. This type of loan is usually for a shorter term of between five and twenty years, and will carry a higher interest rate than the first mortgage. Many people take out a second mortgage to purchase a car, if they have enough equity, because the interest is generally lower than an automobile loan and, again, the interest paid is tax-deductible, so the cost of financing is much lower. Remember that terms can vary greatly from lender to lender, so shop around with banks and credit unions to find the best rate. Also, make sure you clearly understand how much your monthly payments are and that they will fit into your budget. Getting qualified for a second mortgage became more difficult last year as lenders tightened their guidelines. Welcome to Smart Home Mortgage Loans, a lending company that still offers affordable second mortgage loans...Our second mortgage lenders specialize in providing excellent 2nd loan rates with offers for refinance and consolidation from four competing mortgage refinance specialists from across the country. All our 2nd loan specialists are dedicated to finding the best interest rate for second mortgages with fixed terms and reduced costs to meet your unique financial needs. Let our experienced lenders help you select from several home equity programs. Smart Home Mortgage Loans looks for borrowers who need cash and are willing to consider their home as collateral for the loan. Many homeowners coming towards the end of their fixed rate mortgage periods have been notified that they will see a spike in their monthly payments as their interest rates begin to adjust. Consumers who took out a 2-year fixed rate mortgage in 2010 are starting to see their monthly home loan bills rise by up to 30%. Borrowers who have variable rate credit lines have been experiencing higher monthly payments as well. Many people have begun refinancing their adjustable loans into a fixed rate second mortgage that will protect them against future rate hikes. Our lending experts will help you understand the relevance of loan to value, residual income and credit score. SMHL will assist you in getting a pre-approval for subordinate financing with multiple lending options. 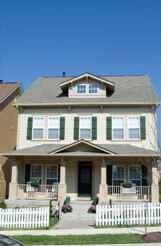 Select the right 2nd mortgage with documentation options and interest rate options. Maybe you want a fixed rate, but maybe you need a minimum payment option like an interest only loan. According to a spokesman from Nationwide, "Homeowners have been rushing to refinance their adjustable rate equity loans and their solution is a fixed rate second mortgage." The good news is that Smart Home Mortgage Loans will help you through the entire loan process. Looking for a low interest home improvement Loan? We can direct you to the Top lenders in the country. SHML can assist you in finding the loan to do the improvements for your home. Use the equity in your home to get cash, consolidate your debts and pay for home improvements. As the name suggests, you take out another, Second Mortgage Loan on the same property. There are many reasons to take Second Mortgages in California are popular, such as funding home repairs, paying off debts, using it as a down payment, and so forth. Be prepared to go through the same steps as if you were applying for a first mortgage. You can also take advantage of the extra tax relief: The interest on the second mortgages in Nevada may have limitations on tax-deductibility when compared to interest written off on 1st liens. Traditionally, Second Mortgage Loans are offered with a fixed loan amount and a predetermined repayment schedule. Some lenders now offer lines of credit that allow you to obtain cash advances with a credit card or to write checks up to a certain credit limit. As you pay off the outstanding balance, you can reuse the line of credit during the loan period. Do you have Home Equity Loans? We offer you the option of a convenient "revolving" Home Equity Line of Credit or the traditional "close-ended" home equity loan. Both programs are 2 nd mortgages, which allow you to gain a measure of control over your monthly debts without disturbing your first mortgage. Please call our Preferred Lending Center Home Equity Hotline at 1-877-822-2100.